Destination weddings are decidedly en-vogue. If you and your other half are one of the increasing number of couples taking to the skies to get married abroad take a peek at our top 10 wedding facts. 1. The average spend on an overseas wedding is around £7,000 – half of what the average UK wedding costs! 2. You can’t actually get married at the top romantic destination, the Maldives. Instead couples can head here to renew vows. 3. You can only marry on certain days at many destinations, this is often dependent on the flights that go to your chosen location. 4. Seasons are different abroad! The summer months at your chosen destination might well be during the UK winter. Check your climate facts before booking a wedding, or else you might find you bag a bargain because it is monsoon season! 5. If you change your passport to your married name before you travel, you may have trouble entering the country as the ticket name has to match the passport. You don’t want to miss your own wedding! 6. You’ll want to purchase wedding insurance as well as travel insurance for your destination wedding. Wedding insurance provides cover should a close relative become ill and the wedding has to be cancelled, or if adverse weather conditions mean that the bride and groom, and the majority of guests cannot get to the wedding. 7. Weddings abroad are more likely to be rescheduled due to inclement weather. Therefore it is advisable to avoid having your wedding date on any gifts or décor at the reception. 8. Wedding gowns and suits made of natural fabric can be rescued after a long journey by being hung in a hot steamy room. 9. You must reside in the destination of your choice for a set amount of time before you marry. This varies from country to country. 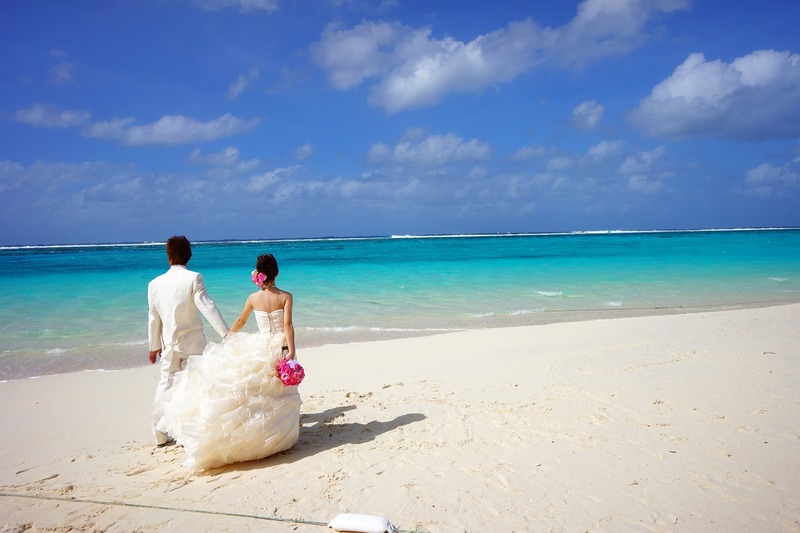 For example in Turks and Caicos Islands you must be in the country for at least 24 hours, but in France you need to arrive at least 40 days before the wedding. Check your destination to find out before you book! 10. The Top 10 Wedding Destinations of 2015! Find out more about wedding insurance for the UK and away in our recent blog. This entry was posted in The places we've been, Travel Advice, Travel Insurance, wedding insurance on August 18, 2015 by worldwideinsure.